Also known as work-related upper limb disorder or non-specific upper limb pain, Repetitive Strain Disorder (RSI) is a painful condition which afflicts up to 175,000 people in the UK. Although RSI commonly affects the upper-limbs however it can affect other parts of the body as well. Recent figures from the Health & Safety Executive suggests that nearly 250,000 people in the UK were diagnosed as suffering from Repetitive Strain Injury or RSI during 2013/2014 although exact figures are difficult to pinpoint as information about the condition also includes other muscular-skeletal disorders. However it is estimated that approximately 3.2 million workdays were lost due to Upper Limb Disorders in 2013/2014. As the name suggests, the main cause of Repetitive Strain Injury is the repetition of a particular task or activity over a period of time. Other causes of Repetitive Strain Injury include vibration, mechanical compression or maintaining awkward or uncomfortable positions. Although RSI is usually associated with the workplace, leisure activities such as golf, tennis, gardening, playing a musical instrument and computer gaming can also be a cause. Symptoms of Repetitive Strain Injury can vary but often include stiffness, pain, tingling or numbness and cramp. Type 1 RSI which occurs when there is a recognised medical condition which can be diagnosed from your symptoms. This type of RSI is usually characterised by muscular swelling or tension. Type 2 RSI is diagnosed as being the result of no specific medical condition other than pain. This form of RSI is known as non-specific upper limb pain. Why is Osteopathy Effective In Treating Repetitive Strain Injury? The emphasis on the role of the musculoskeletal system in maintaining well-being means that osteopathy can be extremely effective in treating and minimising the effects of Repetitive Strain Injury. Stresses and strains placed upon the body during manual handling, repetitive or forceful actions and unsuitable posture may all cause disorders of the muscles, tendons and joints. As a trained osteopath with nearly thirty years experience, Helen is experienced in diagnosing and treating Repetitive Strain Injury. Depending upon her diagnosis, a variety of osteopathic treatments such as shockwave therapy and massage may be employed to reduce swelling and discomfort and realign the body’s mechanical structure. 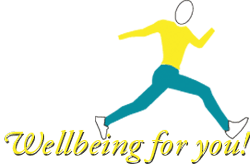 Gentle exercise may also be prescribed in order to maintain the bodys well-being and advice upon correct posture and lifting techniques may also be given to assist in keeping the problem at bay. Helen will go out of her way to help you. And you are always sure to leave with a smile on your face no matter how bad things are. Highly recommend. To discuss your symptoms of Repetitive Strain Injury or to arrange an appointment with Edinburgh osteopath Helen How, contact The How Osteopathic Clinic Edinburgh by email or telephone 0131 551 1044.